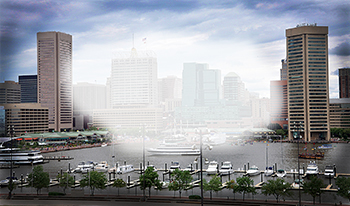 One of many conditions treated by specialists at The Krieger Eye Institute, a cataract is a clouding of the lens of the eye. With age-related cataracts, changes in vision tend to be gradual. In some cases, a new eyeglass prescription may improve vision at least temporarily. A thorough examination by your ophthalmologist can detect the presence and degree of cataract, as well as any other conditions that may be causing blurred vision or discomfort. Cataract treatment is based on the severity of the visual impairment. Symptoms of early cataract may be improved with new eyeglasses, anti-glare coatings on eyeglass lenses, and the usage of brighter lighting while reading. However, when cataracts progress to the point that they interfere with your ability to do normal, everyday activities, surgery may be the only effective treatment. Some medical studies have linked eye-friendly nutrients such as lutein, zeaxanthin, vitamin C, vitamin E and zinc to a reduced risk of certain eye diseases, including cataracts. However, no medications, dietary supplements, exercises or optical devices have definitively been shown to prevent or cure cataracts. Cataract surgery involves surgically removing the cloudy lens of the eye and replacing it with an artificial lens. During traditional procedures, surgeons inject a local anesthetic into the tissue around the eye and make an incision in the white part of the eye; afterwards, patients wear an eye patch for about a day and vision gradually improves. At The Krieger Eye Institute, our physicians use an advanced surgical technique called topical clear corneal cataract surgery, which reduces operating and healing times and offers more immediate improvement in vision. 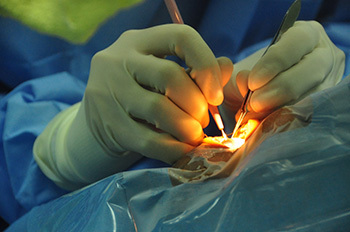 With topical clear corneal cataract surgery, a small incision is made in the cornea (clear part) of the eye, and only drops are required to anesthetize the eye. The cataract is removed and a plastic lens is inserted that unfolds inside the eye. Because the incision is so small, stitches usually are not required. The patient should experience improved vision immediately. As a precaution, the patient may be provided with a protective clear shield for the eye to wear home. After cataract surgery, you may return almost immediately to all but the most strenuous activities. You will use eye drops as your ophthalmologist directs. Several postoperative visits may be needed to monitor the eye as it heals. Cataract surgery is a highly successful procedure. The risk of any serious complications from the surgery is extremely low. Every case is different, but most cataract patients can benefit from surgery. Our physicians at The Krieger Eye Institute have specialized training and experience in ophthalmology as well as other areas. They work together to cover all aspects of eye treatment, using the most advanced technology to provide compassionate, high-quality care with the goal of helping patients achieve the best possible outcomes.